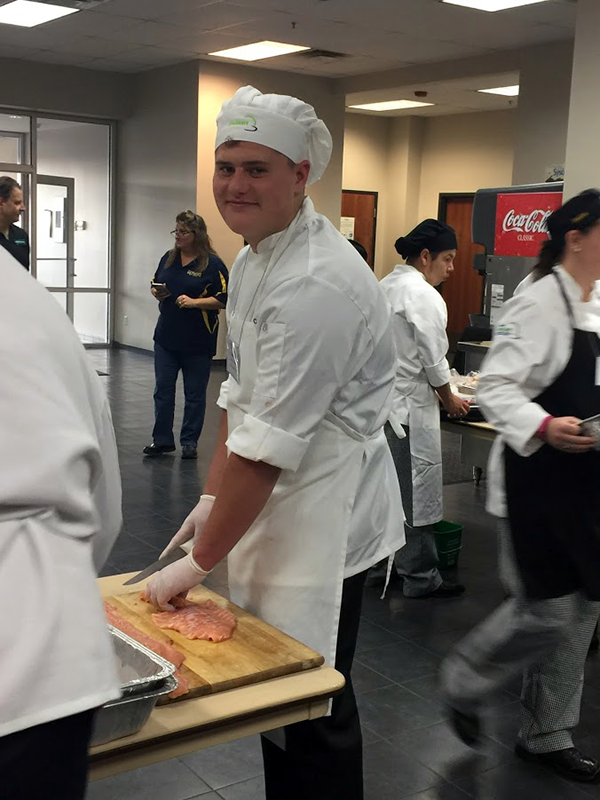 Culinary Arts students attend ProStart symposium — CTE: It's Working! A handful of CTE Culinary Arts students had a great day Wednesday. Here's the report from Instructor Heidi Rocha. 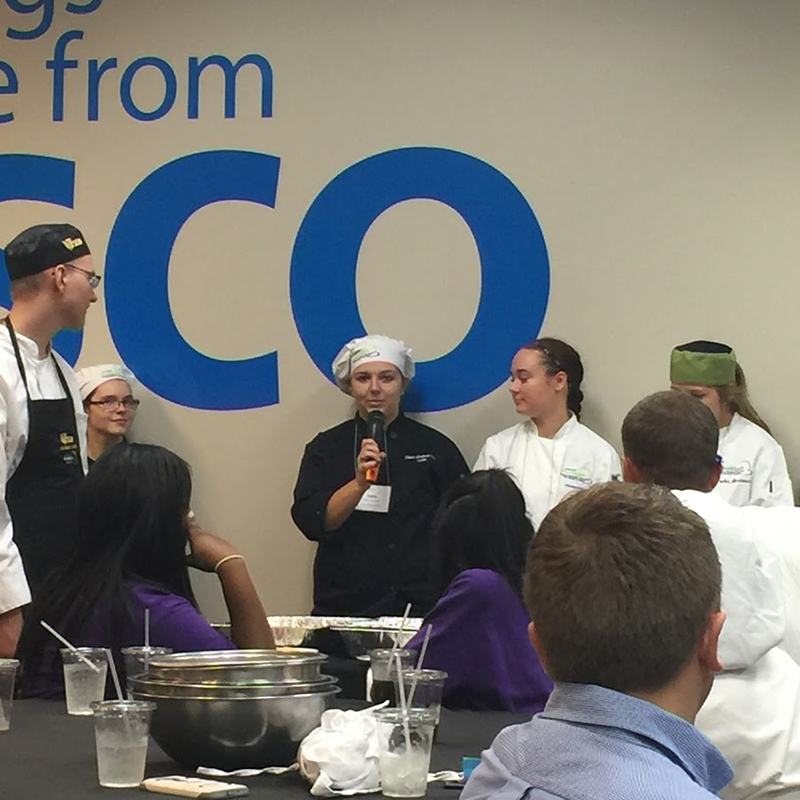 Yesterday, (Paraeducator) Tara Dutcher and I brought four students to the ProStart Student Symposium in Canton, MI at Sysco headquarters. This was provided by the Michigan Restaurant Association. Lydia Gervase (HHS senior), Harley Hakes (HHS senior) and Jimmy Forbes (BHS senior) all participated in the culinary portion. Gary Vanblarcom (FHS junior) participated in the management and marketing portion. The culinary students worked in groups with mentors and created a three-course meal using mystery basket items (salmon, Brussels sprouts, wild rice, whole chicken and butternut squash). The culinary students had to fabricate the chicken or fillet the fish, as well.